Sterling Road in the News Again! Adding to the newsreel surrounding Lower JCT. 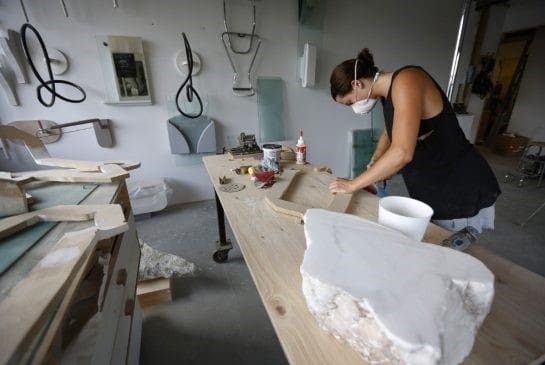 and the Sterling Road community is an in-depth article from the Toronto Star highlighting the artistic underpinnings and successful small businesses that have taken root in this area. Considered an easy-to-miss urban industrial zone, the future home of MoCCA may have initially appeared to be an unlikely fit. However, when you dive a little deeper, it is evident that Sterling has been nurturing its own unique culture over the years. Buildings along Sterling Road have become home to a plethora of artistic and entrepreneurial ventures, from architects, artists, and galleries, to a circus school, an axe-throwing club, and Drake’s first recording studio. Click here to see the article & slideshow, and to further discover just how much of a hidden gem this area is proving to be!